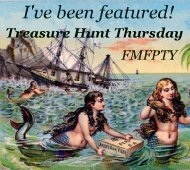 Welcome to Treasure Hunt Thursday#41! I appreciate y'all taking the time out to come over and party. We had a lot of wonderful inspirations out there this week like every week. I know I say that all the time but its true! Y'all are a bunch of talented gals. Decorate With A Little Bit showed us this awesome space she transformed! My favorite parts are the door and hanging ladder! Savage Whimsy made an awesome table out of old chippy corbels. I girl after my own heart! Martina over at Northern Nesting showed us how she transferred an old worn down dresser into a show stopper! Thank you to all you join us each and every week! If you have been featured please feel free to grab the "I've Been Featured" button to display on your sidebar. Hi Pamela, Congratulations on being featured at Sherry's Open House Party. Just stopping by to say hello and I find you in the middle of a party! I'll be your newest follower. Thanks for hosting….. Thank you for hosting and I'm lovin' the features this week! Oh what lovely features Pamela. Thanks for hosting. I am always happy to join in, when I actually don't miss it LOL! I meant don't miss the link coming up in my blog roll. YIKES, I need some sleep, can't complete a full sentence. Saw your house on Sherry's blog and it is absolutely gorgeous! Loved every room. I'm joining your party this week. Hope my post fits in. Thanks for hosting! Thanks for hosting such a lovely party :) Your picks for the week were right up my alley. I am looking forward to following you. Trying to link up - have a link back in my post but not showing up - any ideas? Thanks! Thanks for hosting the party! And congrats on your feature on Sherry's blog. You're famous! Congrats on your feature on Sherry's blog. Thanks also for hosting the par-tay!!! Enjoy the rest of your week. Wow! Lovely blog. Coming over from No Minimalist Here and I'm your newest follower. Just joined your linky party as well. Thanks for hosting! Helo Pam....Happy to be sharing my little Harlequin Romance thrift shop dresser this week. Lot's of great links to check on....this may take a while! 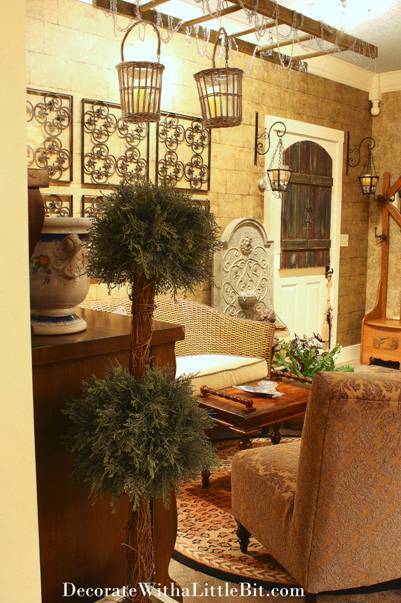 I just toured your gorgeous home on Sherry's blog~congrats! You have lovely taste. I joined your party as well and am your newest follower! Congratulations!! I am contributing here my haul from my thrifting trip. Thanks for hosting, so very much inspiration! Thanks for hosting. Some great link ups.